HomeCould It Get Any Better? YES It Can! Could It Get Any Better? YES It Can! 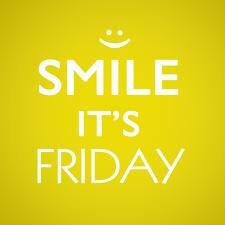 Smile, it’s Friday! Yes that is a good reason to smile. The weekend is HERE! I hope you have some amazing plans, or some lazy plans, which can be rather amazing— soooooooo either way, Rock on! I just realized this morning how very blessed I am! OK, I didn’t just realize this, but I re-realized it! Ha! So why am I so very blessed today? I began my gratitude challenge a couple of days ago over at the Gratitude Diva blog (YAY) I’ve been adding people to the group, and let me tell you it has been an avalanche of activity; 8 members!! Woohoo! As I add people and send out welcome emails, and I post positive greetings and reminders for members of the challenge…..I AM BLESSED! I get to surround myself 24/7 with other people who I fondly am calling “Gratitude Seekers” and I get to infuse gratitude, and pure positivity into the group anytime I want! I feel pretty darn good! So in the end this is for me! I know, selfish, selfish! I am such a blessed girl! I always knew this would lead to amazing things…..wow! ← Join The 30 Day Gratitude Challenge! It IS FREE! We are truly blessed because of you dear friend! Good morning Ellie! And thank you! ❤ I can't tell you how encouraged I am by the group and by friends like you. My WordPress blog has been a huge part of my Spiritual journey! It opened up a world where I am able to meet people like YOU! Have a blessed day!